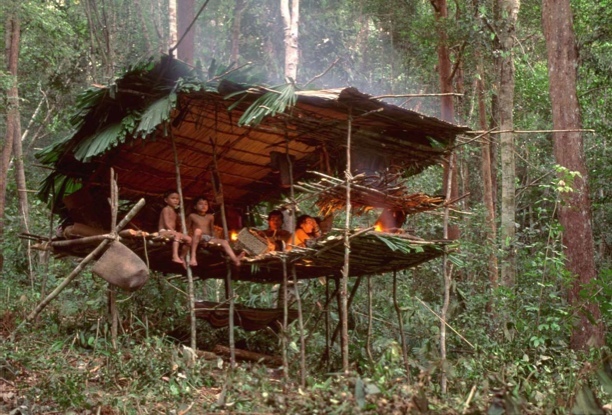 The Penan people live in Borneo, the earth’s second largest tropical island. There are different Penan groups, speaking distinct languages. The people we discuss here are the so-called Eastern Penans. The Eastern Penans live in the Malaysian state of Sarawak, in the north of the island. There are perhaps ten thousand of them. Until recently, they were the last of Borneo’s peoples who remained true to humanity’s oldest lifestyle -- nomadic hunting-gathering. With the destruction of their forest homeland by logging and oil palm plantations, the last of these nomads are being forced to settle and take up farming. I have been visiting the Penans once or twice a year since 1991, and am doing linguistic and anthropological field work among them. This page links to information about the Penans, and my work with them.